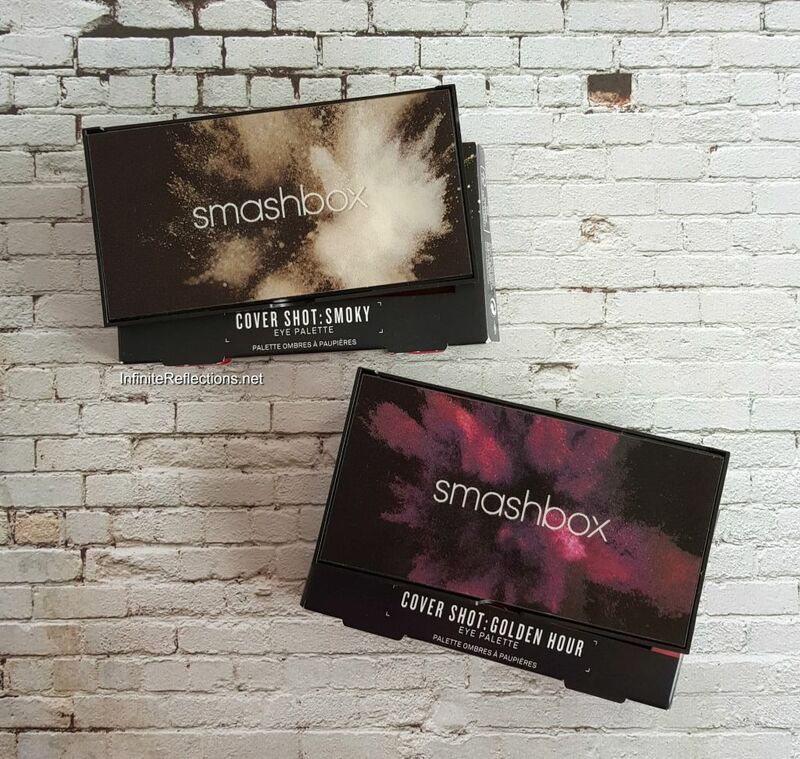 In today’s post, I am reviewing the recently launched Smashbox Cover Shot Eye Palettes. 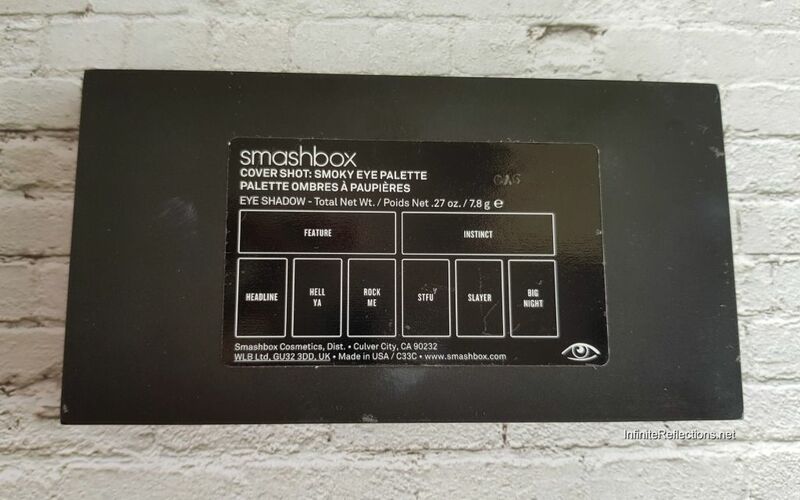 Smashbox has released 7 Cover Shot palettes earlier this year and I have 2 of them – The Golden Hour and Smoky palette. I was very excited to see these cute little palettes when they launched and I wanted to try one of them. I thought they would make great travel palettes since I was bored of carrying the same old palettes for my travel. Somehow, I ended up with two. It’s a long story with which I am not going to bore you with and I think, I have already told this story once on my YouTube channel. First let’s look at the technical details and then we can see the individual palette quality. 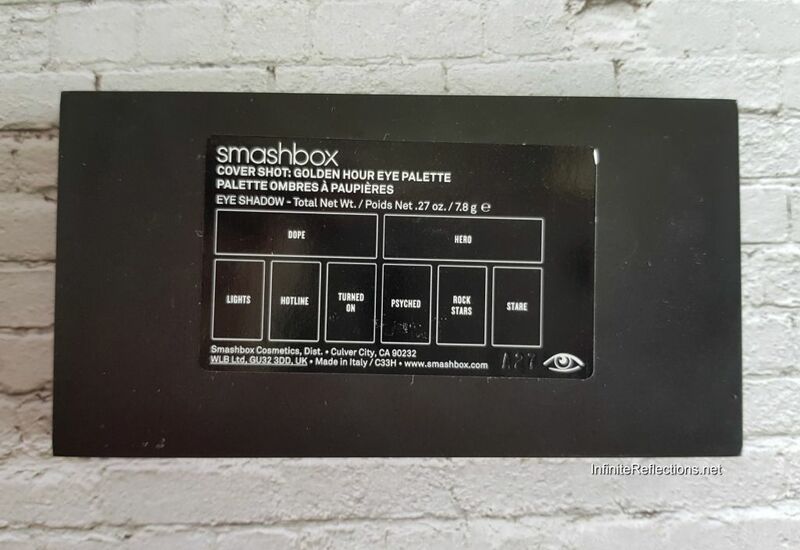 This is one palette whose packaging just sucked me in. Its 3-D art cover is super cool and it’s almost hypnotizing. I was certainly hypnotized into buying these palettes. 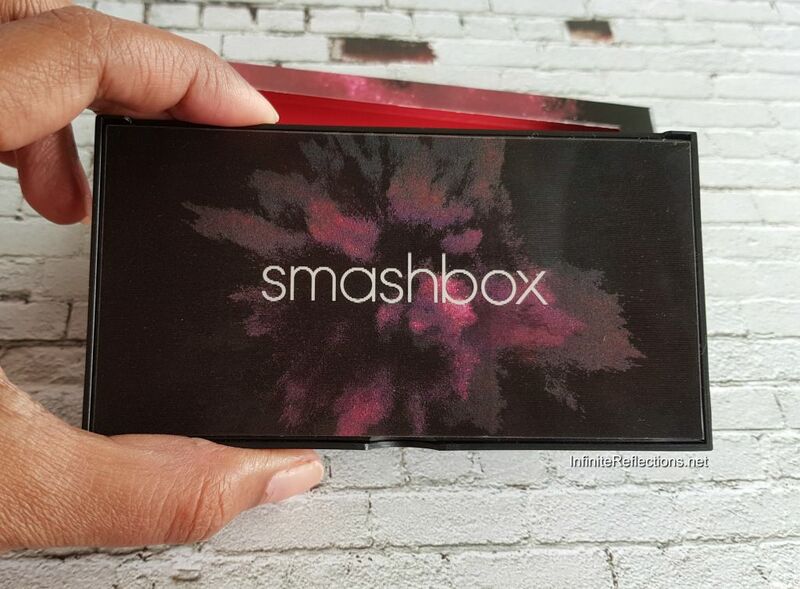 The palettes are very compact and they just fit within the palm of your hands. These palettes certainly have the most interesting front cover but packaging wise I think all the money went in designing the 3-D cover than making a more functional design. 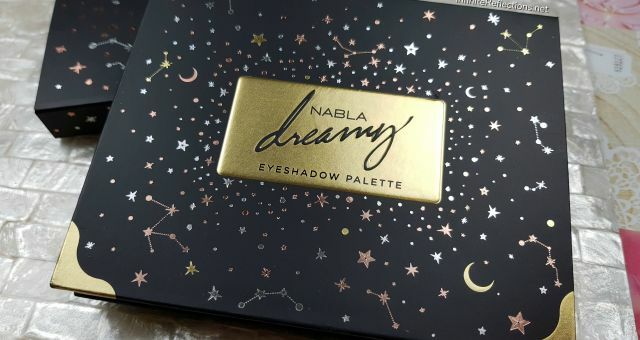 I love that these palettes are very sturdy, slim, sleek and travel friendly but there are a few things which I don’t like about the packaging. You will have this hold this palette in your hands to work with it, since the cover has a tendency to slowly shut down if you leave it open. I find this slightly annoying, specially if you are in a rush specially if you are travelling with this palette. I have found myself a bit frustrated many times when I was using this palette. It is not designed to stay open for long or on it’s own. So, you have to keep that in mind. Also, you can see in the picture here, I don’t like how the mirror is fitted in the palette. It almost feels like they just glued it in as an after thought. The mirror fits in nicely in the palette, but it doesn’t look very seamless or well put together to me. 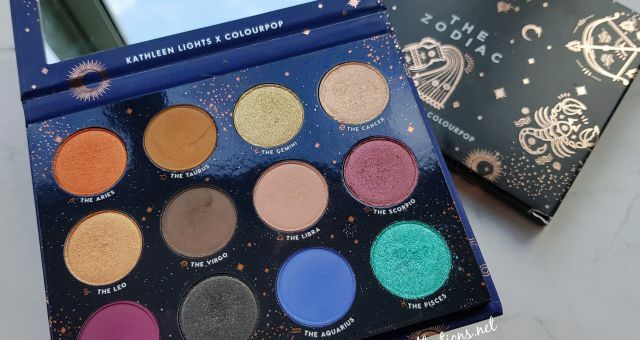 So, I love the outside of the palette but I am not completely in love with what I see inside. The quantity of product is same across all the cover shot palettes. Each travel-size palette is 0.27 oz/ 7.65 g (4.46W x 2.44D x 0.45H). I got my palettes from Sephora Singapore and they retail for SGD 52 here. Thankfully, I bought these during their 20% sale, so I did save quite a bit. 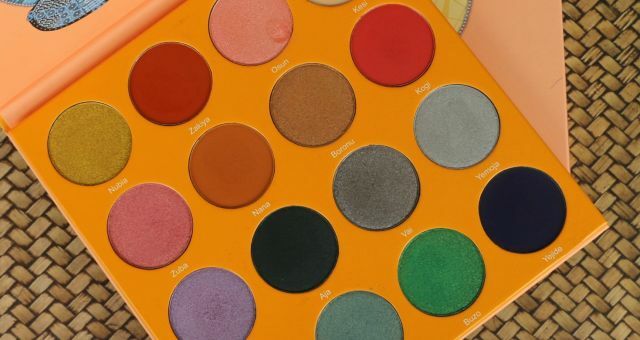 This was the palette I was eyeing for at first because of the beautiful soft shadows it has and I thought it would be perfect for creating everyday looks for my travel. It has 2 matte shades on the top and the other 6 shades are also soft shimmer finishes. This is the palette which I got by accident. You must be thinking that I have a lot of makeup accidents. Beautiful makeup always cloud my decision making capabilities and I can’t help it. But anyways, I am happy that the accident happened because I have ended up liking this palette more. 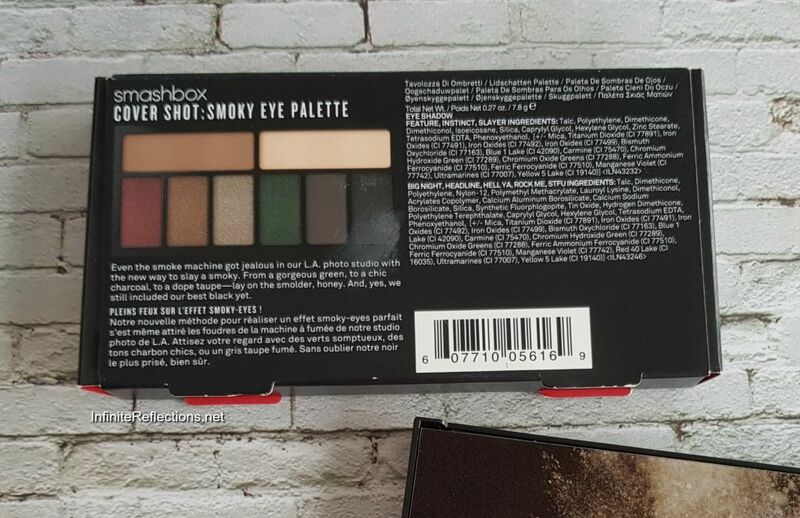 This palette has 3 matte shades and the other 5 shades are all different intensity shimmer finishes. 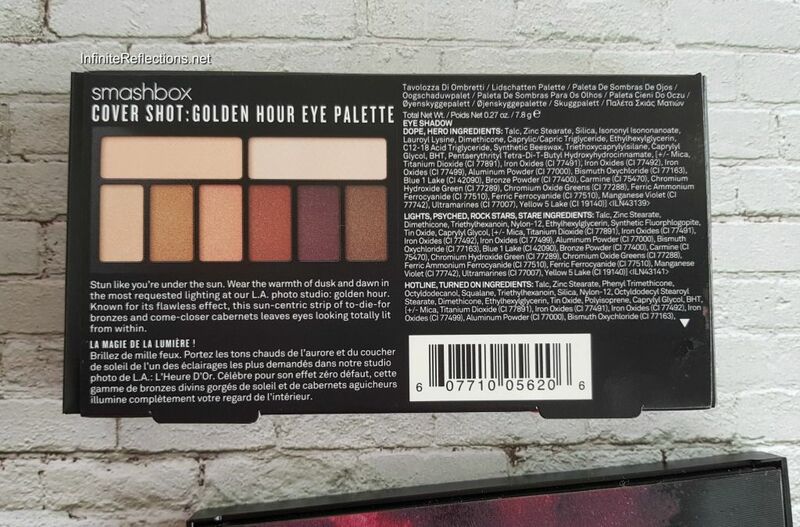 All the shades have been mentioned at the back of the palette as shown in the pictures below. The colours in this palette are beautiful. The pigmentation is great. The two matte shades as well as all the shimmer shades are very soft and buttery. But, I am still kind of disappointed with this palette. The shadows are no doubt good quality but I feel like it doesn’t have the intensity I was hoping it would have. 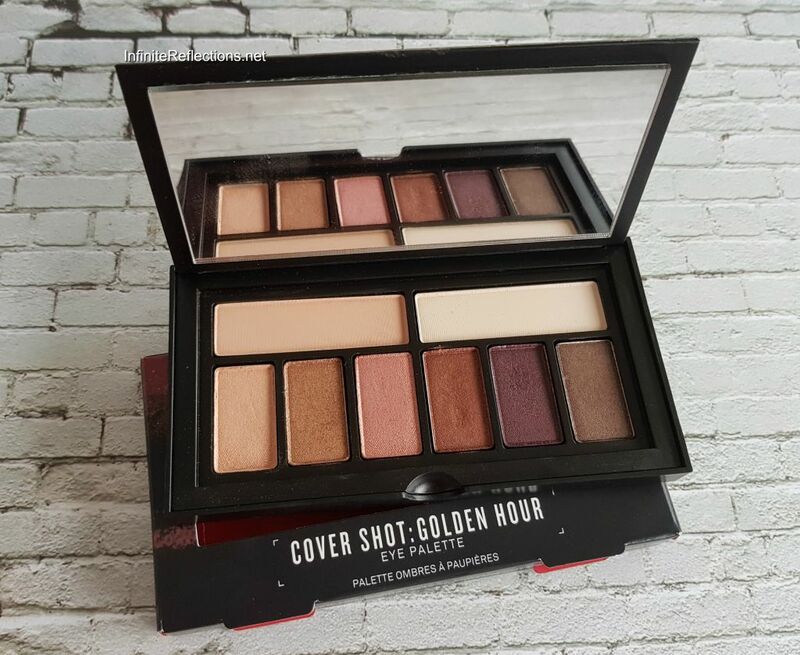 This is a very soft focus kind of a palette, so it is ideal for everyday use. But if you are someone, who needs intensity you may not get that from this palette. I also feel that I need some other palette all the time to get some more matte transition shades. 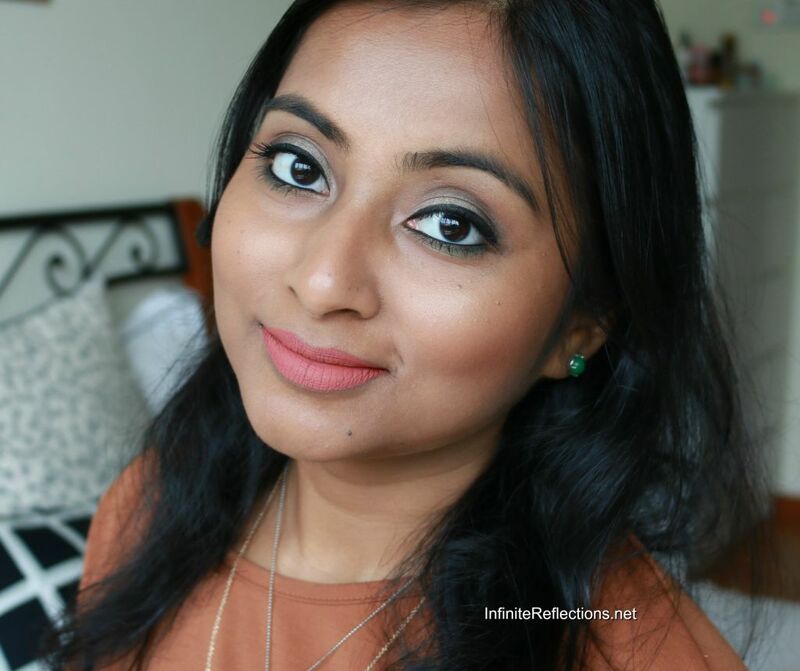 You can easily create a all-over-eyeshadow kind of look but it will take a lot of work to create some bright intense looks, specially on my tan skin tone. 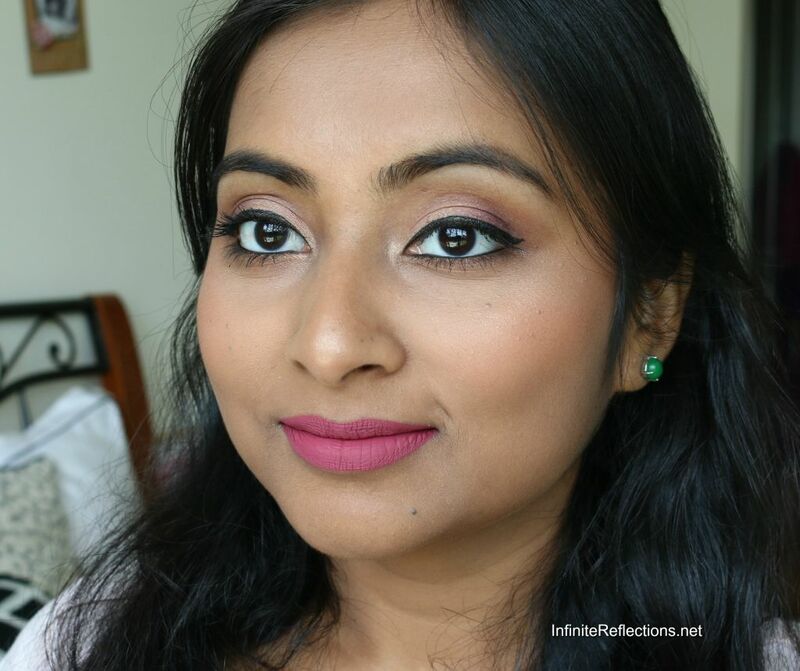 Most of the shadows don’t show up all that well on my skin tone and I do have to spend quite a lot of time building up the colour. I also noticed a bit of a fall out in this palette. 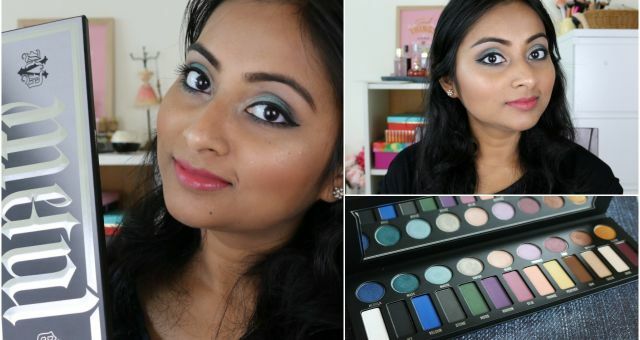 A primer is a definite requirement for this palette, to get the shadows to pop even more. 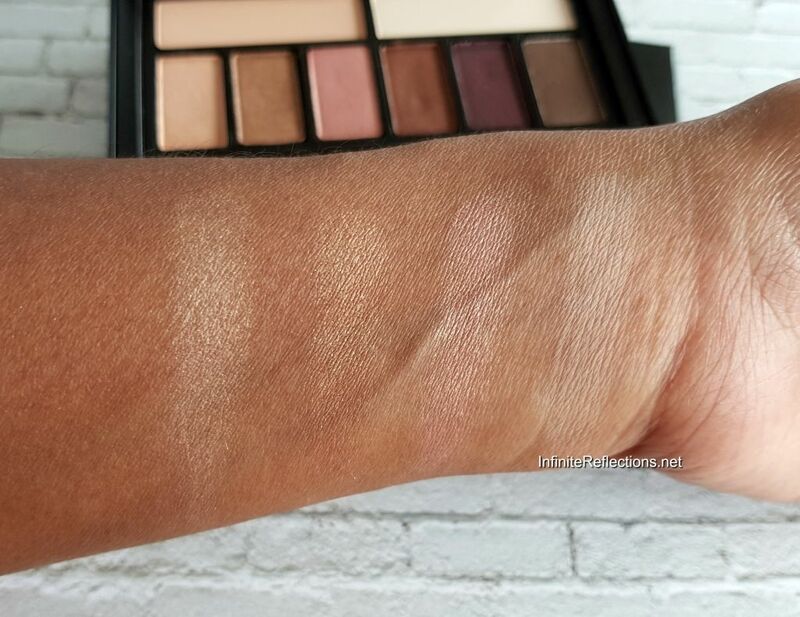 Overall, I don’t think there is a problem with the pigmentation or color payoff but it’s a subtle palette by nature and if you are close to my skin tone then I wouldn’t recommend this one. These colours may show up better on fairer skin tone. The Smoky palette on the other hand, I love! The pigmentation in this one is also pretty good. 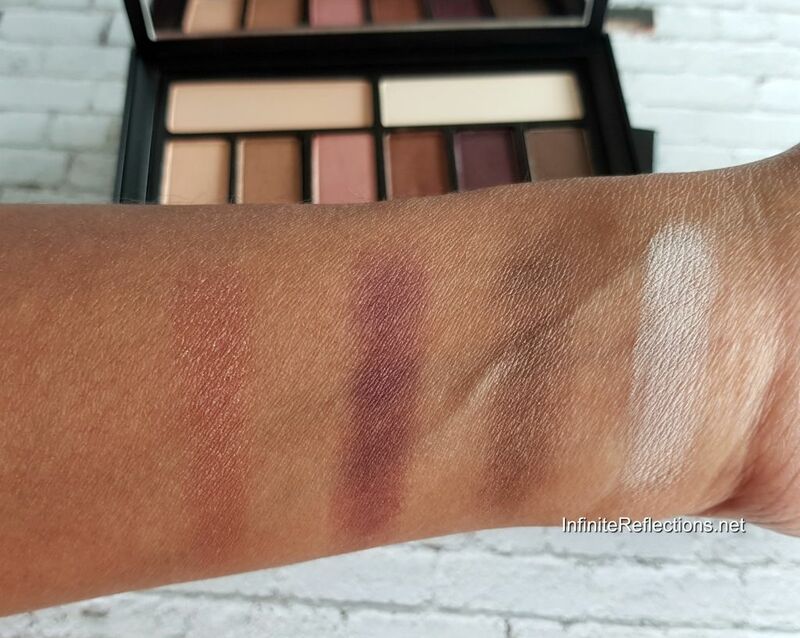 I love that there are 3 matte shades in this palette and there are deeper matte shades as well, so I don’t find myself reaching for other palettes for transition shades. The greyish brown matte shade “Feature” is not absolutely creamiest like the other two but all of them are very well pigmented, smooth and blend really nicely. The shimmer are also really nicely pigmented and they feel very smooth. They apply beautifully on the eyelids and I haven’t noticed a lot of fall out in this palette. The shimmers in the first quad are a little less intense than the second quad of the palette, but definitely the intensity is there unlike the first palette. 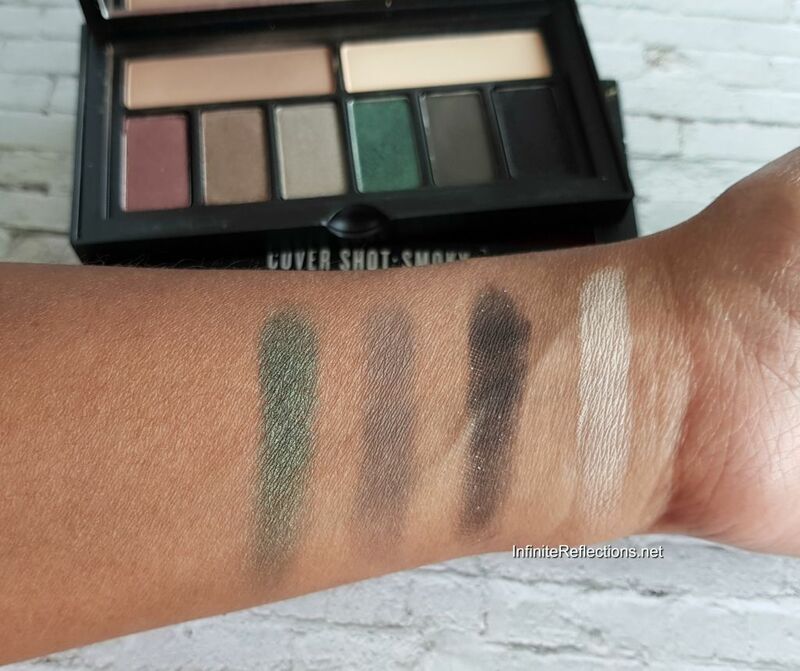 I love the beautiful green shade in this palette which is the highlight in this palette. The black shade “Big Night” is also a matte shadow but it has tiny specks of bluish-silver glitters, which I surprisingly like. Overall, definitely a better palette than the first palette and I would highly recommend if you were looking at these palettes. 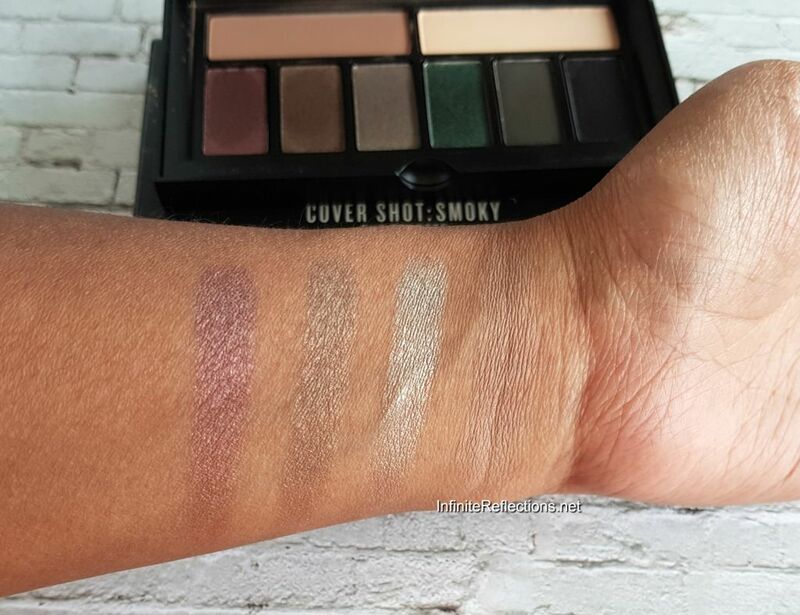 Here are the swatches of the palettes on my skin tone. This palette is definitely a lot less intense specially on my skin tone. Many of the colours don’t show up very well and need to be built up. This is a beautiful palette and can be used to create unique looks. The shadows are more intense than the first palette. Overall, I do like the quality of the shadows in these two palettes, you need to pick and choose among all the seven palettes according to your taste and preference. 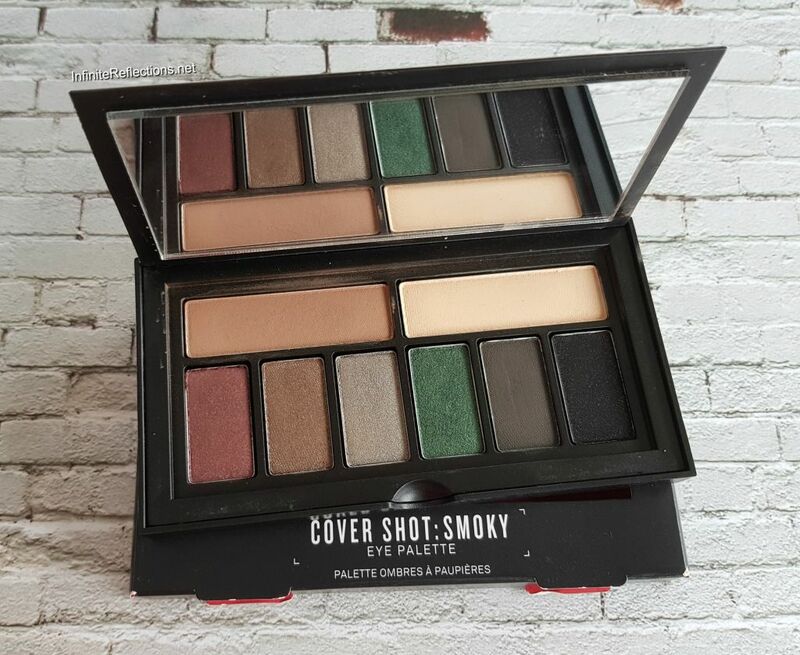 Everything is not perfect but I would certainly recommend the Smoky palette based on its quality and intensity, if I had to recommend one. have a very cool 3-D cover. have very soft and pigmented shadows. have shadows which blend really well. are very travel friendly since they are quite small. have been designed in quads. the auto-shut nature of the palette. the way the mirror has been placed. that it is quite expensive for the amount of shadows and overall quality. That’s all for today. Hope this helps. They look so pretty. I think I will try to get one atleast for my collection. All good brands are so difficult for us to find in Kolkata.